On Saturday, I exclusively attended the presentations on the farming track. There were four speakers involved with the most sustainable pastured businesses. The first speaker on Saturday was Tara Smith of Tara Firma Farms. 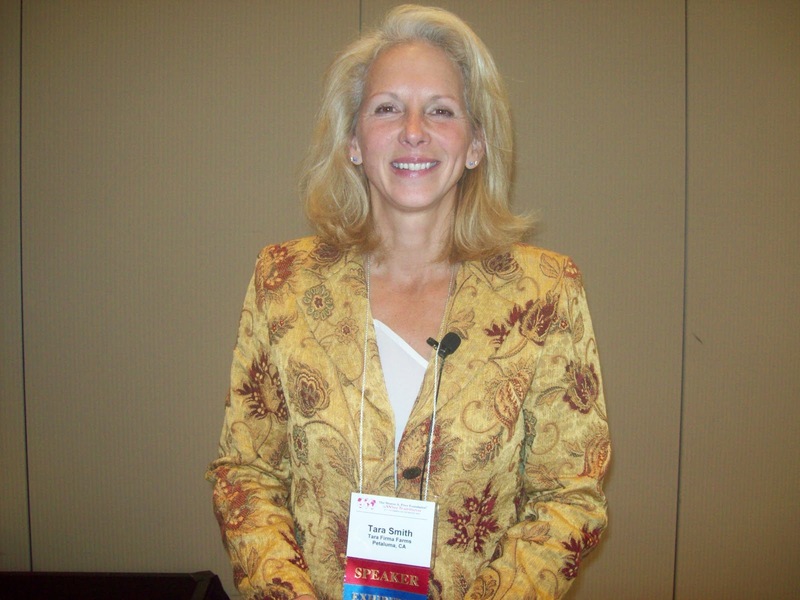 Tara made a huge and successful career jump from the long term insurance care industry to farming. She was heavily influenced by the writings of Michael Pollan and the practices of Joel Salatin. Tara shared her personal stories of what sparked her interest in starting her own farm and anecdotes of what’s happened since starting Tara Firma Farms. Tara also explained that there’s a difference between health care and health care insurance. Real food is what health care is. 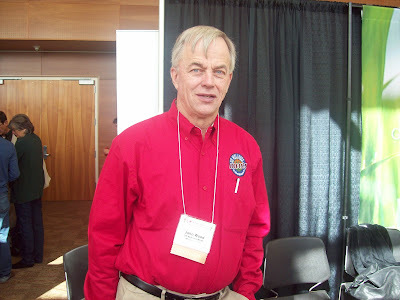 Next on the farming track was Chris Kerston, Director of Marketing for Chaffin Family Orchards. Chaffin Orchards has one of the most sustainable practices of permaculture as their farm both raises livestock and grows orchards. 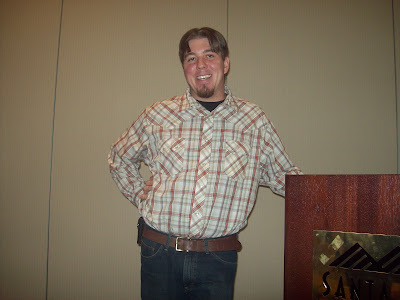 Chris gave a fun filled presentation talking about the Savory Institute principles of holistic grazing and throwing in some videos to entertain the crowd. In addition to setting such high standards for pastured meat and poultry, Chaffin Orchards has some of the most pure olive oil out there. Also on the farming track was John Wood, a founding member of the successful online grass fed meat business U.S. Wellness Meats. John talked about the benefits of eating pastured meats and how he’s been able to thrive selling these sustainable meats through the Internet as well as in specialty stores and buying clubs. Along with retail, he explained that his meats have been purchased by restaurants, gyms, as well as athletes who have said they’ve felt stronger and gotten more energy by nourishing on some U.S. Wellness Meats. 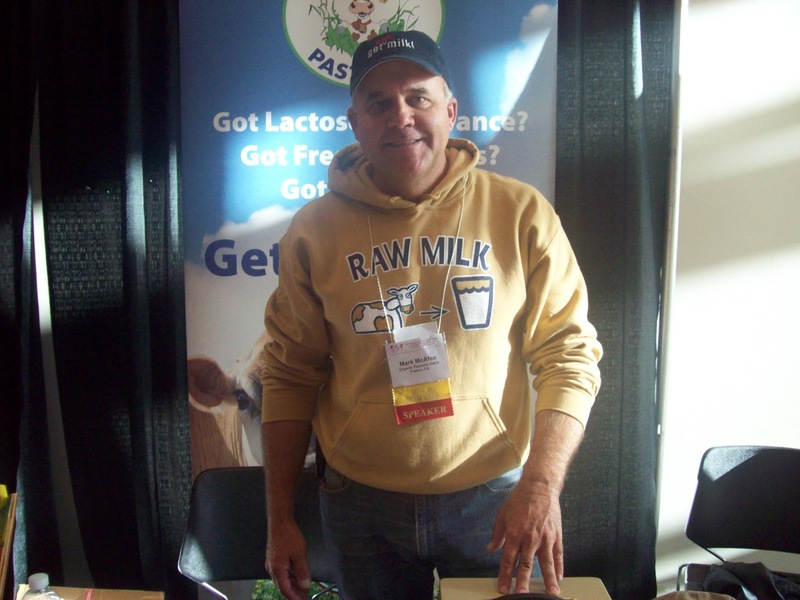 And what would a farming track and Wise Traditions conference be without Mark McAfee, founder and CEO of the largest raw dairy farm Organic Pastures? Mark gave the final presentation on Saturday’s farming track as he did something a little different this time, telling the story of Organic Pastures. Mark traced his history all the way back to his ancestors who were knights in Europe. He talked about how his father as an activist and a farmer had a great influence on him. Mark discussed his being EMT. And then Mark got into how Organic Pastures came to be, explaining the benefits of raw milk and showing us the various products that Organic Pastures has offered.